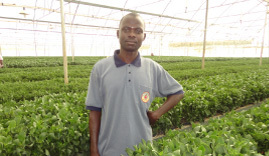 At our modern production site in Uganda, we grow cuttings of the best quality. We grow a wide range of crops and varieties of several breeders (like Aster, Celosia, Chrysant, Kalanchoe etc.). Because each species has its own unique characteristics and cultivation, we assist you in determining the most suitable products for your company and customers. A responsible approach to the population, environment and nature is our 'license to produce'. Our production farm of 7.5 ha. provides employment, medical care, education and housing to over 350 Ugandan employees and their families. The Xclusive Group has a private clinic with qualified nurses, a child day care and internal training programs for our employees. We continuously invest in sustainable cultivation solutions and use the natural resources around us as sparingly as possible. Our MPS certifications underline this. This way, we and our clients contribute to a healthy environment and better living conditions for the people. The Xclusive Group is formed by Xclusive Cuttings, Xclusive Chrysanthemum and Xclusive Kalanchoe. 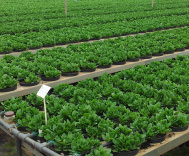 The chrysanthemum cuttings are traded through the company Floritec and the kalanchoe cuttings are traded through sales- and cultivation support organization African Finest Cuttings (AFC BV).